Guaranteed to get attention. Lovely noise from 5.0-litre engine. No other car can match the V8 for pound-per-horsepower. V8 has a frightening thirst for fuel. The interior lacks quality. Uncharismatic sound from 2.3 Ecoboost. Tiring to drive in traffic. 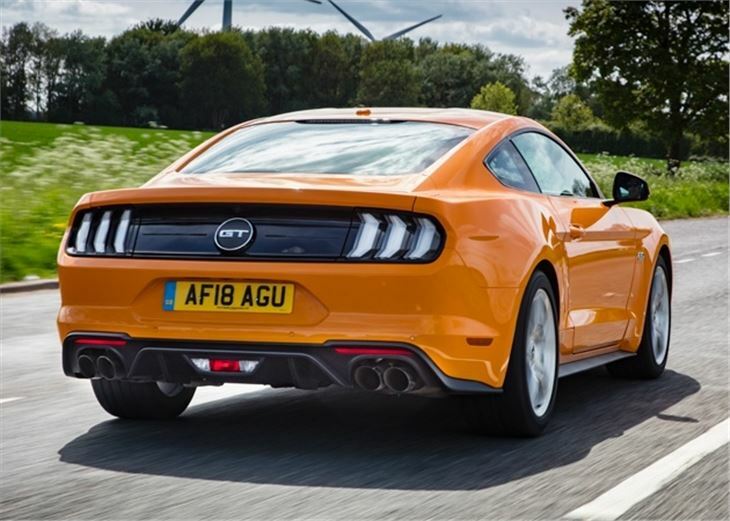 Report of reduced performance from new 850 mile Ford Mustang GT 5.0 V8 automatic when put in 'S'. It took Ford 50 years before it officially brought its iconic muscle car to Europe. And - quelle surprise - it's been an enormous success, with 35,000 sold in Europe since 2015. The UK was the Mustang's second biggest European market after Germany last year, with 2,211 sold - outselling the Porsche 911. Why the success? Well, what other iconic V8-powered sports car can you buy for less than £40k? The Mustang is a car that screams "look a me", a car that makes a statement. A car you should buy if you want to stand out in a car park full of greyscale German cars. 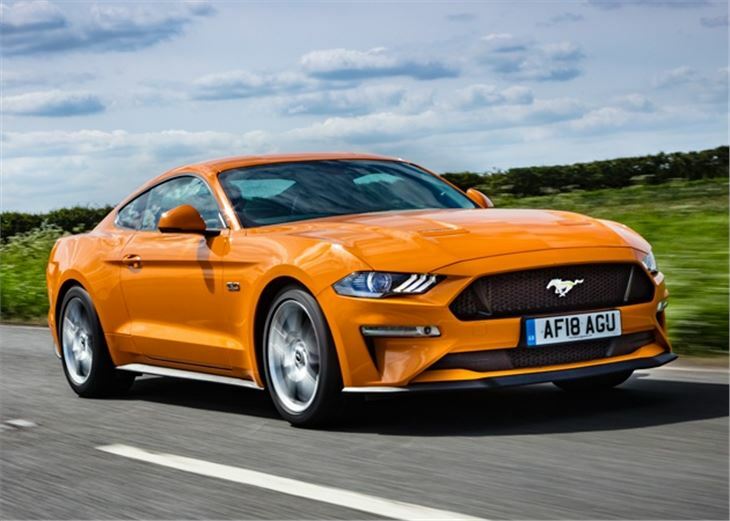 Updated for 2018, the Mustang has been given a slight facelift - with a more aggressive front end made up of a larger front splitter and revised LED headlights. 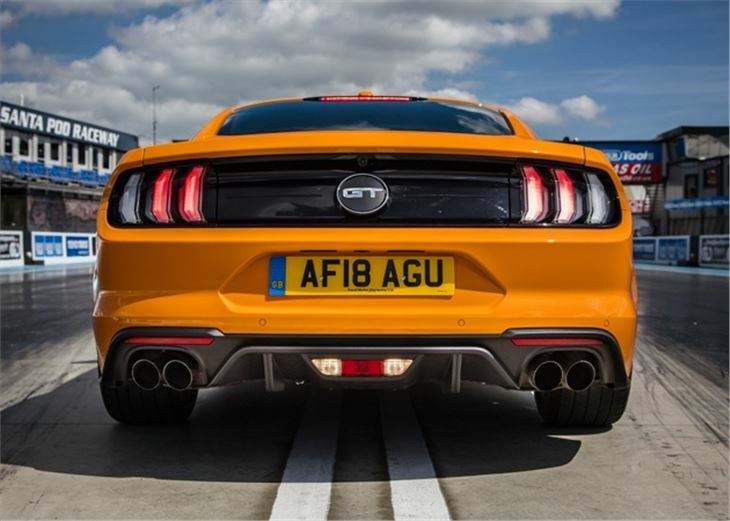 To the rear, a revised bumper, optional rear spoiler and quad-tailpipes for the V8 give it an even more boisterous appearance. That V8 - the engine everyone wants - now delivers 450PS (up from 416PS), just in case anyone previously felt it wasn't powerful enough. 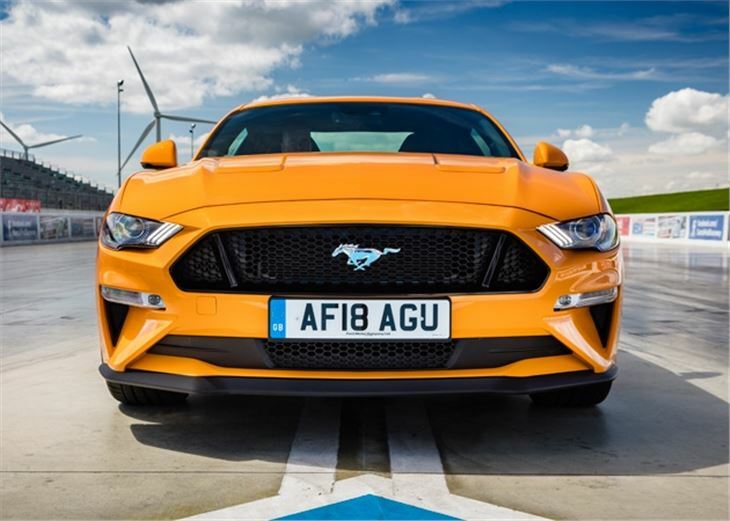 It provides exactly the driving experience you'd want from a Mustang - loud and deep on start-up, while being aggressive with the throttle will get the 'Stang out of shape pretty quickly. The downside is a car that's far from relaxing to drive in the same way a powerful Audi, BMW or Mercedes-Benz can be. The clutch - if you choose a manual - is heavy in traffic, while the gear change is clunky. Half of buyers are expected to opt for the more wallet-friendly 2.3-litre EcoBoost with 290PS (down from 314PS pre-facelift). 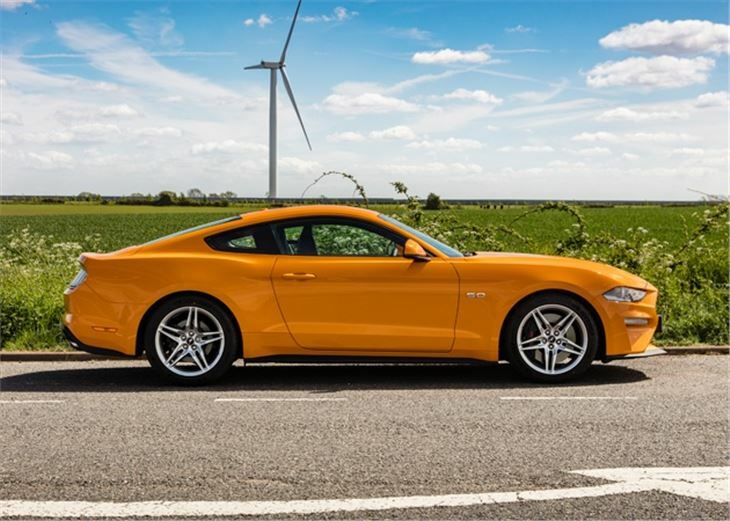 While it has its benefits - it's more economical, obviously, and more docile - it's not what the Mustang is all about. We like the same engine in the Focus RS, but it's underwhelming in the Mustang. The noise is disappointing and the performance is adequate at best. 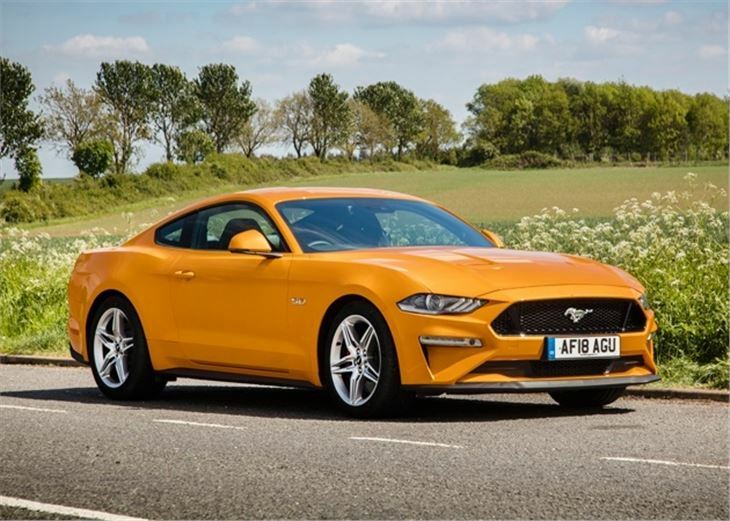 When the V8 is only marginally more expensive and slightly-more-than-marginally thirstier than the EcoBoost, it's hard to justify not going for the full-fat Mustang experience. Whether you opt for the sleek coupe or the soft-top is down to personal preference. We prefer the appearance of the Fastback, but the multi layer insulated fabric hood of the convertible does a fine job of hiding wind noise. And, besides, being able to drop the roof and enjoy the V8 sound in all its glory is a very tempting proposition. 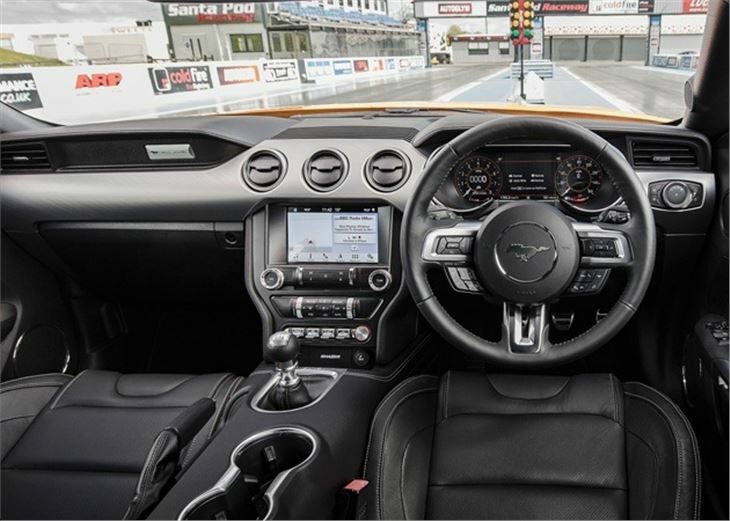 Ford's given the interior a more premium finish for 2018, but it's still the area that lets the Mustang down compared to more premium rivals. But its naffness is part of what makes it a Mustang - if you want soft touch finishes and a slick infotainment system, buy an Audi. A most enjoyable and comfortable car.